« Top Ten Rejected Titles for David Letterman’s Blackmailer’s Script! The Official 2010 Academy Awards Drinking Game!! So for the past couple of years – i.e., 2008 and 2009– I’ve posted on our show’s website my “official” rules for the Academy Awards drinking game. Well, it’s that time again – so check out the “official” rules of the 2010 Academy Awards Drinking Game!! 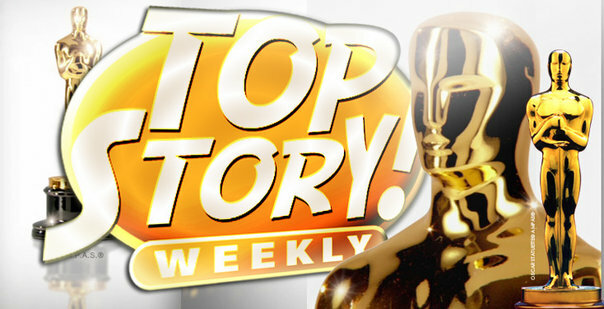 And if you’re in Hollywood this Sunday night – why not check out the most entertaining event you’ll find on Hollywood Boulevard – a brand new episode of Top Story! Weekly, 9pm at iO West! iO West has a full bar (21 and over please – and please bring ID!) so you can come by at 7, watch the Oscars in the bar, and then head on into the theater at 9 for some great comedy! This entry was posted on March 4, 2010 at 11:31 pm and is filed under Humor, News, The Biz. You can follow any responses to this entry through the RSS 2.0 feed. You can leave a response, or trackback from your own site. This year’s smaller overall bounty may also be due to the “Avatar” effect. James Cameron’s 3-D epic has become such a juggernaut that it has collected $111 million of the $135 million in ticket sales generated by best picture nominees since the nominations.